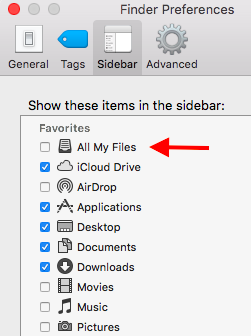 The "All my Files" icon in my Finder sidebar has disappeared, I may have inadvertently deleted it with an unlucky motion on the trackpad. sidebar = FinderSidebar()                                      # Create a Finder sidebar instance to act on. I found this tutorial but nothing about "All my Files" that I can see. Not the answer you're looking for? 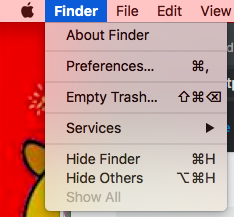 Browse other questions tagged macos finder sidebar . Is there a way to add separators to sidebar?